|And bugles calling for them from sad shires. Parish Wreath at the foot of the War Memorial. Andrew Simpkins, the Chairman, an ex-Army man of 37 years standing, was at the Cenotaph in London. The commemoration of the centenary of the armistice that marked the end of the First World War proved to be a significant event recognised in many parts of the world. In the United Kingdom it was marked with great ceremony and solemnity at the Cenotaph in Whitehall, London. 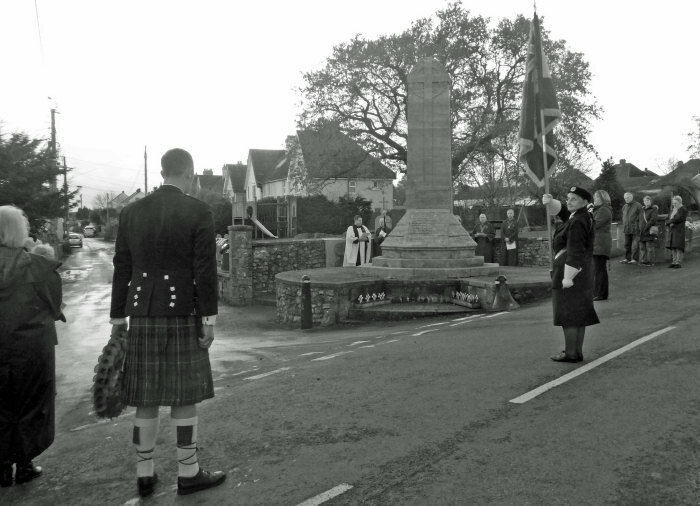 In Winsham a substantial group filled St. Stephen's, and afterwards went to the War Memorial to lay wreaths. 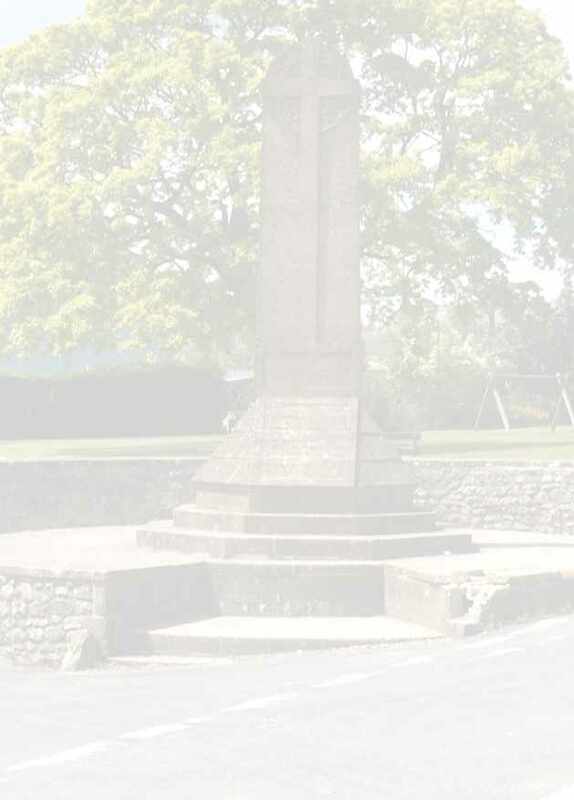 For many an emotional experience, as of course the service recognised the loss of many others: in the Second World War, and the many subsequent wars that have ,and still are, taking place around the world. To mark the special nature of the event, when it was over, Winsham Parish Council funded and organised a very good tea, to which all were invited, held in the Jubilee Hall. 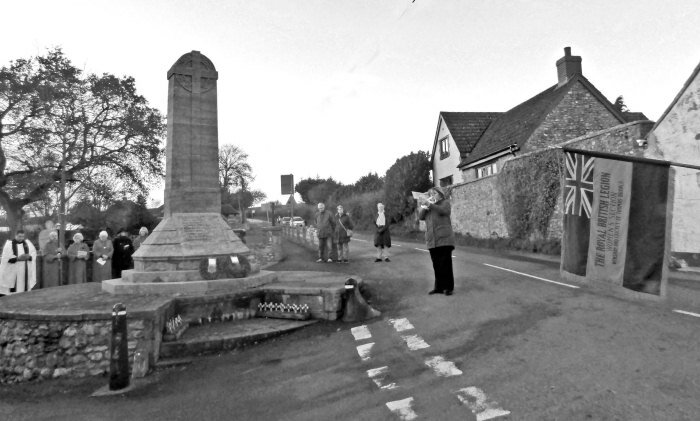 This included a small exhibition of First World War memorabilia, and information about those from the village who had fallen fighting for their country.